From the beginning of the development of Spring Thread® in 2006 till its launch in 2007, Dr. Jean Frismand brought all his experience of implant engineering laboratories to provide High Quality and Safe service. Spring Thread® is 100% made in France. The products undergo extensive testing, both during production during and after complete manufacturing. The company 1st SurgiConcept is ISO 13485 certified (Quality of Medical Devices) and the Spring Thread® range is CE marked (Class IIb Medical Device). All components of Spring Thread® are biocompatible and have been used in implant surgery for more than 50 years. Spring Thread® implants are permanent. Unlike other absorbable products, Spring Thread® results will last between 3 to 5 years, depending on each individual case. Even if the product has proven its effectiveness, it doesn’t perform ‘miracles’. It is the perfect solution for moderate to medium sagging, but like every other product in the market, it does not prevent tissue ageing. After some years of thread lifting, you will have the possibility to choose between several alternatives: no further treatment (the skin will grow old naturally), new thread implants, or opt for a surgical face lift or other rejuvenation techniques. Which parts of my face and body can be treated? Face: cheeks, cheekbones, jowls, face oval, eyebrows, neck. Body: breasts, arms, buttocks, legs. What are the advantages of Thread Lifting? Furthermore, the suspension effect exerts an upward force and is therefore particularly suitable for treating sagging tissue. What are the advantages of Spring Thread®? Large number of cogs providing strong anchorage. The tissues are effectively tightened. The achieved result is exceptionally natural. The face remains very active, with a reshaped oval, revitalized lip contours and a more defined look around the eyes. No deadpan aspect. Spring Thread® skin tightening with suspension threads is a new solution for men and women who are still relatively young, but desire ‘long-lasting’ rejuvenation and do not wish to resort to surgery. Spring Thread® enables the retightening of the oval of a tired, relatively young face and can be considered as an alternative to a surgical facelift. Suspension threads today represent an additional, effective and radical technique in the overall management of the ageing process of the face. In combination with fillers, peelings and photo therapies, they offer an effective medical tool in the struggle against ageing signs, without being in direct competition with surgical procedures. Short recovery period (about 2 to 3 days). Therefore, the implantation of skin tightening suspension threads is a medical procedure for facial rejuvenation which can be considered as an alternative to surgical facelift. There is no specific precaution or necessary treatment to take before a thread procedure. However, it is essential that you ask your practitioner all necessary questions so that you can be fully informed about the threads and the implantation procedure before treatment. The doctor will ask you to wash your hair with disinfectant shampoo on the day of the procedure and prescribe a mild sedative in order to help you remain relaxed. Which practitioners are authorized to implant Spring Thread®? Spring Thread® has a rigorous process for selecting, training and authorizing doctors and surgeons to perform Spring Thread® procedures. To find an authorized Spring Thread® practitioner, click here. In addition, it is possible that a slight oedema (swelling), some redness, or bruising may occur. This will disappear within few days. Some skin folds may also appear. These result from threads tightening. It will disappear within a few days. Is the Spring Thread® procedure painful? The procedure is generally performed under local anaesthesia and sometimes under a light sedation if the patient is feeling anxious. The thread implant procedure is pain-free. No pain is experienced during thread insertion. What is Spring Thread® made of? 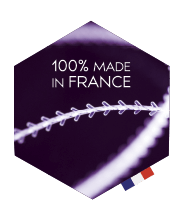 Spring Thread® is a 100% made in France product. It is CE marked (Class IIb Medical Device, in accordance with the directive 93-42 CE) and the company 1st SurgiConcept® complies with the ISO 13485 standards which guarantees a full Quality Management System throughout the whole manufacturing process. Spring Thread® is made of a polyester core on which medical grade silicone cogs are molded. This ensures a controlled elasticity of about 20%. The moulded silicone in numerous 4 directional cogs procures elasticity and suppleness for an easy and precise setting, achieving a natural result. Silicone: why is it the safest material? Silicone is amongst one of the most chemically inert component used in implantation surgery for years. The silicone used for Spring Thread® is a medical grade solid silicone, which bears no relation to liquid silicone. Are permanent threads removable, even after years? Once the threads are in place, it takes some days before the fibrosis process starts. This is why, in case of over correction, your practitioner will be able to unhook some of the cogs after the thread implantation. Beyond this period of about one week, the fibrosis phenomenon occurs around the threads, making their anchorage much stronger. It is therefore more difficult to unhook, but it is still possible to remove the threads, even years later. The post procedure effects are minimal and normal activity may be resumed the following day. A feeling of skin tightness is common, along with the occurrence of oedema and occasionally, bruising. These symptoms disappear within a short time. Antibiotics, anti-inflammatory and/or analgesics are generally prescribed. Skin folds whether large or small, depending on the extent of the tightening, will disappear in a few days following the procedure. In all cases, a follow-up visit has to be planned with your practitioner during the week following the procedure. Thread Lifting, what are the real expected outcomes? The effectiveness of our thread is due to 4 major innovations: Elasticity, Flexibility, Good fixation & long term action. The result of tissue lifting is immediate and does not alter facial features. The results improve over time. The optimal result is achieved 2 months after the thread procedure, which is the required time for final tissue reorganizing. Spring Thread® lifting is the ideal procedure to obtain natural and long lasting effect. Which indication for the best results? It is important to mention that thread lifting’s main indication is mild to moderate tissue sagging correction for middle-aged people looking for tissue elevation and volume restoration. Thanks to Spring Thread® technical characteristics, the threads are very strong and resistant but not suitable for an over wrinkled or too saggy skin. In that case, your practitioner will recommend a full surgical lifting or another adapted procedure. What is the cost of Thread Laying procedure? During the first consultation, your doctor will provide you his recommendations and an accurate quotation. The price can vary between £2,000 and £4,000 depending on the number of threads inserted, the type of practitioner and the location of the Clinic. Why Thread Laying procedure is easy to recommend? There are no medically based disadvantages of thread lifting procedures once you select the good indication. The important point is patient selection: It is necessary to know when to refuse patients who have unrealistic expectations. If the skin is too thin and wrinkled, the result will not be acceptable. If the skin is thick and too ‘heavy’, the result will be unsatisfactory. In case of ptosis on middle aged patient with good mental balance, the results are highly qualitative. Only one session is necessary. More threads may be implanted a few years later, if required. You can expect a totally natural, younger appearance. In addition to this result which occurs after 2 to 3 months, it is interesting to note that the skin slackens much more slowly due to long lasting hypodermic support. This is very apparent after years. Thread Lift vs Surgical Lift: what, why and who? Tissue involution: loss of tissue density. It can be compensated with injections to restore lost volume, either botulinum toxin for the upper part of the face, or by using hyaluronic acid for other parts. As a result, the reasons for undergoing surgical facelifts have substantially decreased. Saggy tissues: also called sagging. It is the perfect indication for Thread Lifting. This technique, which does not require incisions, can be described as ‘transcutaneous’. 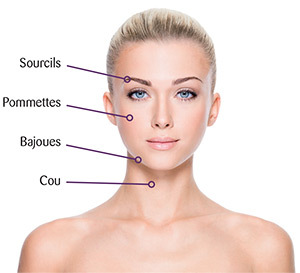 The skin tightening threads enable tissue mobilization towards the upper part of the face, lifting the tissues. There is no need to cut the skin to trim it or the need for in-depth detachment to mobilize it. The vascular flow is maintained, which is essential for skin quality. Surgical facelift, which requires skin removal and repositioning of muscles, is an effective technique for the lower part of the face and the neck. It is suitable for mature or damaged skins but sometimes causes significant scarring, as it is a complex procedure. It upwardly repositions the facial structure to prevent tissue sagging (downward sliding of surface tissue over deep tissue, accompanied by a relative lengthening of tissue surface). It helps to fight cutaneous and subcutaneous ageing: all facial sagging, from the age of 35 to later in life (over 70 years of age). Is Spring Thread® treatment suitable for me? The implantation of skin tightening threads is suitable for both men and women who are still relatively young, between the age of 35 and 70 years, and for whom a surgical facelift would be premature, or for older people who would not consider a complex surgical procedure and whose skin is suitable. Face oval improvement & removal of the bitterness fold (marionette line). How do Threads impact ageing? The lifting procedures only act on the ptosis, and therefore only have a partial impact on the overall management of the ageing process (although there is a partial correction of volume, probably linked to the activation of collagen synthesis driven by the threads). The skin is tightened and the face oval is redefined, the features are accentuated, the cheekbones are more prominent, the wrinkles are reduced. Threads do not affect muscles. Therefore, there is no change in facial expression, which remains natural and coordinated. The result is a completely fresh look with tight-restored tissues. Facial rejuvenation is significant: the results are immediate, 90% arise during the week following the procedure, after which it is necessary to return to the clinic for possible adjustments. The final result will be effective during the 2 to 3 months following the procedure. The results will last for several years: approximately 1 year for absorbable threads; 3 to 5 years for permanent threads. Can I use Spring Thread® safely? Since the development of Spring Thread® in 2006 and its launch in 2007, Dr. Frismand wanted to put all his experience of implants in the service of quality and safety. Spring Thread® is 100% made in France, the products undergo numerous tests during manufacture and before the placing on the market. Thus 1st Surgiconcept is ISO 13485 (Medical Device Quality) certified and the Spring Thread® range is marked CE (Medical Device Class IIb). All components of Spring Thread® threads have been biocompatible and used in implant surgery for over 50 years. The effect of laying Spring Thread ® wires is permanent. Unlike other resorbable products, Spring Thread ® has an effect that will last in excess of 3 years. However, this product “does not work miracles”. It does not stop the process of tissue aging, which means that after a few years you will have the choice: do nothing, retighten the existing son (Easylift® technique), proceed with the installation of new threads or utilise another rejuvenation technique. What parts of the face and body can be treated? How does Spring Thread® compare with surgical face lifting? What are the advantages of Spring Thread® threads ? There are no special precautions to take before treatment other than washing the hair on the day of the operation with a disinfectant shampoo and possibly prescribing a light sedative if the client is nervous. It is necessary that a thorough consultation is performed and the patient is informed about the threads, the procedure of installation and aftercare, and signs a consent form. What are the consequences of treatment? Typically, in the hours following the treatment, slight oedema (swelling), some redness or bruising may appear. These will disappear in a few days. Likewise some folds of skin can appear. These are due to the pulling of the wires. They will disappear in a few days. The consequences of the intervention are small and allow the resumption of a normal activity the day after the intervention. A sensation of cutaneous tension is frequent, as well as the occurrence of edema and rare bruises. These signs are quickly reversible. Antibiotics, anti-inflammatories and / or analgesics are generally prescribed. The folds, more or less important depending on the traction achieved, will disappear spontaneously in the days following the intervention. In all cases, a control visit is expected in the week following the intervention. The intervention is done under local anesthesia, sometimes under mild sedation if the patient is worried. The laying of the threads is almost painless. There is no pain felt when passing the wires. How are Spring Thread® threads made ? Spring Thread® threads are entirely made in France. They are CE marked (Class IIb Medical Device according to the 93-42 CE directive) and comply with the ISO 13485 standard for the manufacture of medical devices. They consist of a PET (polyethylene terephthalate) spiral core on which is molded a silicone ring of medical grade. PET gives the strength of the product and provides a limitation of its elongation (20%), while the silicone provides the elasticity necessary to obtain a natural effect. Does silicone present a danger? No, silicone is one of the most neutral products used in surgery for many years. The silicone we use for Spring Thread® threads is a solid, medical grade silicone that has nothing to do with liquid silicone. For how long is it possible to readjust the threads? The doctor has the opportunity after readjust the threads for a few days. Beyond this there is a fibrosis phenomenon around the threads which makes their anchorage very powerful, therefore making is more difficult. The effect of elevation of the tissues is immediate and does not change the face physiognomy. The result then increases with time. It is optimal about several months after the laying of the threads, which corresponds to the time required for the fibrosis process. What are the limits of this technique? An elderly person who fears a surgical facelift or deep peel may use it, but the threads are only a displacement of volume and can not be compared to these two techniques. Which means that this technique is not good for wrinkled skin which lacks support. To be effective and aesthetic, you should not treat skin which is too thin, and you need a reasonable relaxed patient. The price of the intervention depends on the number of areas treated, and therefore the number and type of threads used. During the first consultation, the doctor draws up a precise quote that he gives to the patient. The price varies between £2,000 and £4,000 depending on the number of wires laid, the doctor and the city. There are no medical contraindications but practitioners have to know how to refuse people who place unrealistic hopes in this technique. If the skin is too thin and wrinkled, the result will not be good. If the skin is thick and very “heavy”, the result will be insufficient. Only one session is necessary. Other threads can be placed a few years later if needed. If you can’t find the question and answer you’re looking for, contact us for further information.